It is the summer of 2012 and Jordan Henderson has been tipped to leave Liverpool in a swap deal for Fulham’s Clint Dempsey. Almost six years later, the midfielder is preparing to captain the Reds in a Champions League final against Real Madrid. If ever there was a perfect way of typifying his commitment to the club. Liverpool’s skipper has endured one of the rockiest rises to prominence on Merseyside and even now somehow continues to divide supporters over his value to the team. Henderson has reflected on the moment Brendan Rodgers proposed a move away from the club, his crushing reaction and the admirable response to stay and fight for his place that followed. “Brendan [Rodgers] called me in and said ‘listen, this is the offer’ and he asked me what I thought,” he told the Daily Mail’s Oliver Holt. 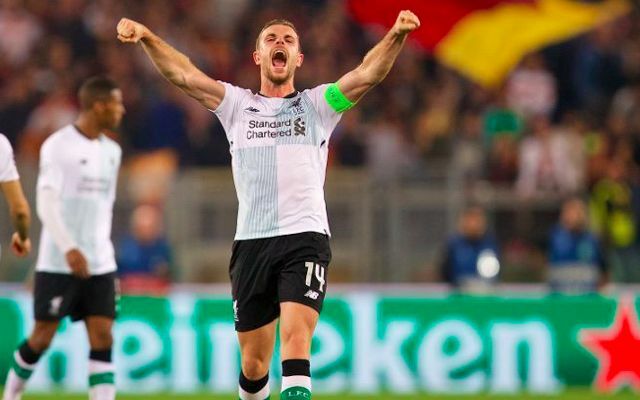 Henderson himself will be the first to admit it will always be tough to convince the majority, but there is no denying the leadership qualities and the Liverpool vigour and devotion embodied in his resurgence. He leads as a beacon of the aggression and intensity Jurgen Klopp has strived to instal at the club, a translator of the local pride and an unassuming foundation to the club’s headline attack force. To reach Saturday’s final is a monumental achievement in itself. To go on and lift the trophy, no matter what fans may think of him, would confirm Henderson’s hero status.